Wrinkles are not the only thing you have to worry about as you age. Dark spots on the face are also a common concern that plagues both men and women. Known as hyperpigmentation, these dark spots can be caused by excessive sun exposure, acne scars, hormonal changes, or even genetics. Limelight is a safe approach to facial rejuvenation using US FDA-cleared intense pulsed light (IPL) technology. The procedure is designed to reduce hyperpigmentation and imperfections caused by the natural aging process. Limelight draws out the brown spots from the Limelight can be used on nearly any area of the face that suffer from brown spots, skin redness and tiny facial veins. It can also be used to remove age spots on the neck and hands. The LimeLight procedure draws out brown spots and other pigmentation from the deeper layers of the skin to the surface allowing this to scab and fall off after three to five days. This results in a brighter skin free of brown spots and pigmentation. Most patients report a mild stinging or pinching sensation during treatment. As the procedure is completely tolerable for most patient, anesthesia or pain medication is not typically needed. For optimal results, at least three to five treatments are needed. Chemical peels are an effective way to reduce brown spots on the skin. During a chemical peel, the solution is applied on the skin. After a few days, layers of the treated skin will be naturally “peeled off” or removed revealing a new and healthy skin underneath. At the Cutis Laser Clinics in Singapore, there are several chemical peel options for skin lightening. The Cutis Crystal Peel is a superior skin brightening treatment that has been found to successfully lighten age spots, freckles, and uneven skin tone. This peel is formulated with safe and well-known lightening ingredients such as Glycolic, Hydroquinone, Kojic, Uva Ursi, Vitamin C and proprietary mineral blend. Another chemical peel offered at Cutis is the Vi Peel, a stronger chemical peel formulated in the US. 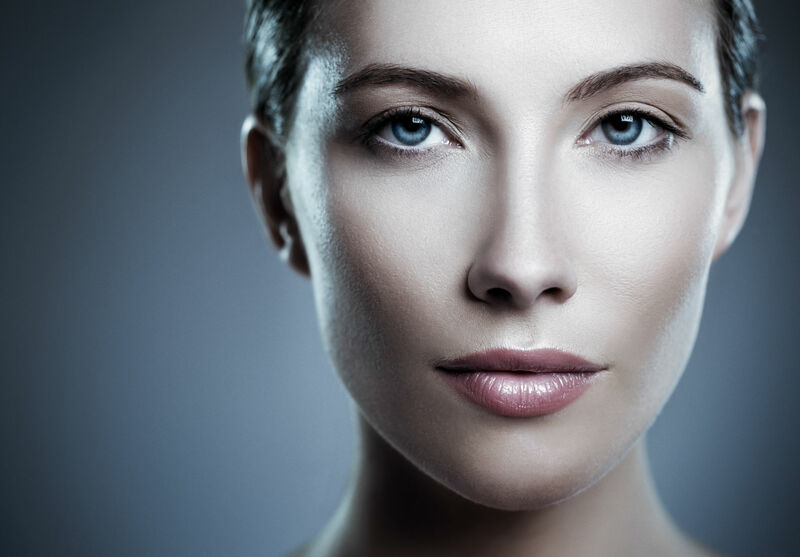 In Singapore, Vi Peel is only available in Cutis Laser Clinics. The Vi Peel goes deeper into the skin for a more effective result. After three days, the skin will start to peel off revealing healthier and more radiant skin. The full result will be seen after five to seven days when the peeling has completed. It is formulated with a safe concentration of effective anti-aging formulations such as Trichloroacetic Acid (stimulates collagen), Retinoic Acid (combats wrinkles) as well Salicylic Acid (exfoliates skin) among others. The right combination of safe skin lightening products can also be used to effectively reduce dark spots and pigmentation in the comfort of your own home. Dr. Sylvia’s Advanced Skin Care Program contains three prescription products that are clinically-proven in reducing the appearance of dark spots while lightening the skin. After cleansing and toning, the program includes a Skin Lightener (#3) with 4 percent hydroquinone for the correction of unwanted pigmentation such as freckles and age spots. The next step in the program is the Exfoliator Forte (#4) which helps to improve your skin’s texture using a formula containing 14 percent alpha-hydroxy acid. The Exfoliator Forte contains a pH level of 3.4 which is ideal for normal skin. The final step in Dr. Sylvia’s Advanced Clear Skin Program is the Balancer (#5). The Balancer also contains 4 percent hydroquinone to target the deeper layers of the skin for even more effective lightening benefits. It’s also important to take note that the Advanced Clear Skin Program is only available after a consultation and prescription from Dr. Sylvia Ramirez, our Harvard-trained aesthetic doctor in Singapore. Contact Cutis Laser Clinics and schedule a consultation with our aesthetic doctor today and to find out which of these treatments are suitable for you.